The question of how Islamic law regulates the notions of just recourse to and just conduct in war has long been the topic of heated controversy, and is often subject to oversimplification in scholarship and journalism. This book traces the rationale for aggression　within the Islamic tradition, and assesses the meaning and evolution of the contentious concept of jihad. The book reveals that there has never been a unified position on what Islamic warfare tangibly entails, due to the complexity of relevant sources and discordant historical dynamics that have shaped the contours of jihad. 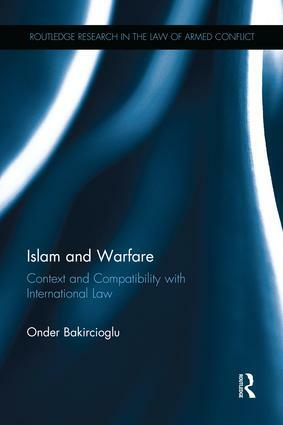 Onder Bakircioglu advocates a dynamic reading of Islamic law and military tradition; one which prioritises the demands of contemporary international relations and considers the meaning and application of jihad as contingent on the socio-political forces of each historical epoch. This book will be of great interest to scholars and students of international law, Islamic law, war and security studies, and the law of armed conflict.